Unlike other reusable air filters, our dry panel design never needs oiling, which keeps your mass airflow sensor from being damaged by excess oil! Rugged Ridge performance high flow filters are made from a synthetic fabric and not cotton. Cotton filters are made porous and must be oiled to trap dirt and debris. But that oil reduces air flow through the filter and it can become easily clogged. Our filters are woven from synthetic fabric to allow maximum air flow and particulate filtration. 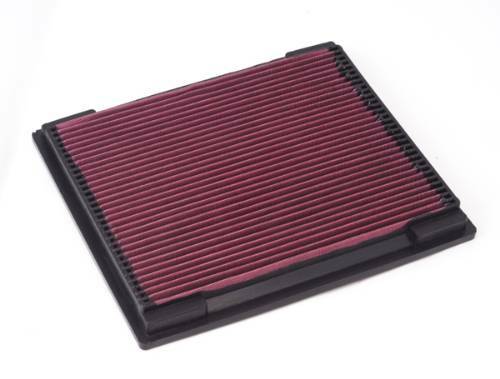 Because our filters never need oiling, they can be cleaned easily with water instead of degreaser, reducing the cost of maintaining the filter over the lifetime of your vehicle. No oil = No fuss, no mess and improved performance!